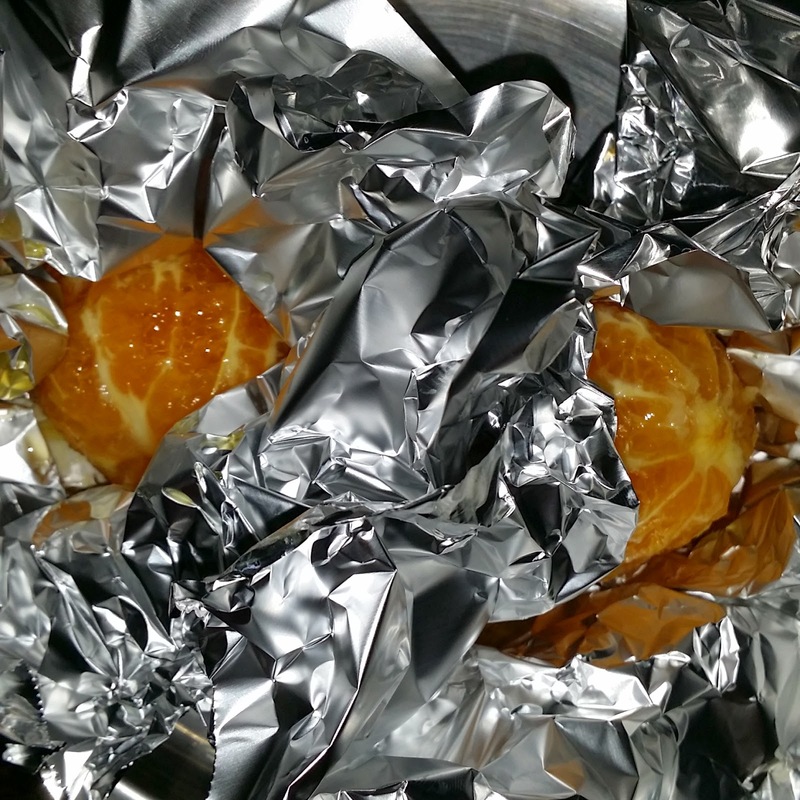 Have you ever tried BBQ oranges, wrapped in foil ? "Nope, I haven't tried that before". "No, how does it taste like huh?" "Wonder how's the taste ... got a feeling it is awful ...."
"Hah? BBQ banana yes, but not BBQ orange!" Well, these were some responses I received when I checked around with some friends. The reason why I asked around was when I saw the recipe from the cookbook, I was like "what ?!? Such easy and simple recipe and sure it won't be delicious, sure alot of people have tasted it... nothing special ..." These were just my thoughts and I was wrong. So last night I decided to make this for our dessert since I have not tried it. Unwrapping the hot parcels taken out from the oven. As soon as the parcels were taken out from the oven, I just can't wait to unwrap the foil. The aroma of the honey, brandy & orange sweet fragrance immersed all within the parcels. 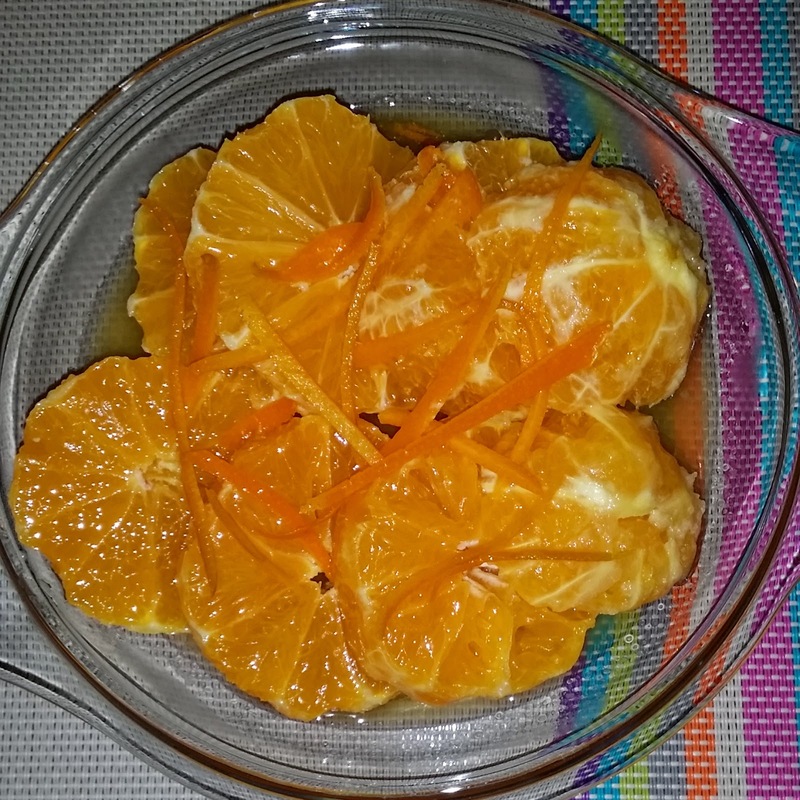 Transferred these lovely bright orange slices onto a serving dish and topped some orange rind. Spread with some juices and enjoyed few spoonfuls. Simply awesome delicious warm dessert on a rainy cool night. Yes, never judge a book by its cover ... so never judge a simple and easy recipe too. Cos you'll never know the goodness ... and that it may taste awesomely good ! Here's sharing the recipe adapted from Martha Day's cookbook. 2 Tbsp low-fat spread, plus extra, melted for brushing. 1) cut four double-thickness squares of foil, large enough to wrap the oranges. Melt about 2 teaspoons of the low-fat spread and brush it over the centre of each piece of foil. 2) remove some shreds of orange rind, for the decoration. Blanch and dry them and set aside. Peel the oranges, removing the white pith and peel catching the juice in a bowl. 3) slice the oranges crossways into thick slices. Reassemble, and place each orange on a square of foil. 4) create a cup shape by tucking the foil up high around the oranges. This will keep them in shape, but leave the foil open at the top. 5) mix together the reserved juice, maple syrup and liqueur and spoon the mixture over the oranges. 6) add a dap of low-fat spread to each parcel and fold over the foil to seal the juices. Place the parcels on a hot barbecue for 10-12 mins until hot. (I threw them into oven, set grill mode). Serve topped with shreds of orange rind and fromage frais, if you like. 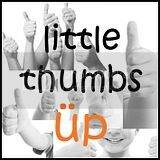 I'm sharing another 'ORANGE' post with The Little Thumbs Up. Thank you for joining this month LTU - Orange theme. Dear Ann, thanks for dropping by. Hi Karen! I had to look twice. What? BBQ orange? So strange and after reading your post it does make sense. If we can BBQ a banana why not orange? I bet this is nice too as an accompaniment to vanilla ice-cream. Oh yum! Hi Phong Hong, nice "to see" you. Oh yes ! Ice-cream yum yum! Think I will go with some low-fat yogurt the next round cos my waist line is 'beyond expanding' liao. Haha. Love your unique way of enjoying orange! I'm with you... Cooking orange in parcels does make these oranges develop more flavours. Like like like!!!! Hi Zoe, thanks & welcome back !